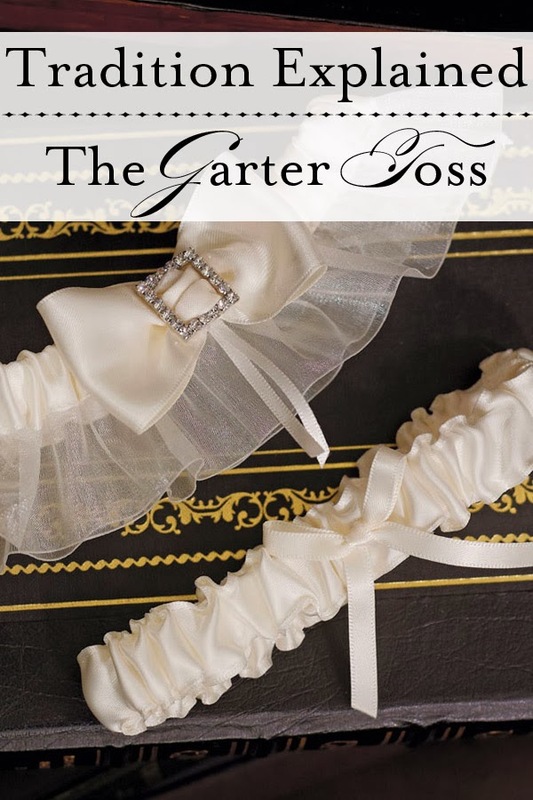 The garter toss – it’s a major wedding tradition and it’s one of our favorites – but just why do we do it? That’s what this Fashion Friday is all about! Do we toss the garter just for fun, or is there meaning. What about other cultures – do we all celebrate the garter toss the same way? Read on for the answer to these questions and many more! The "Beverley Clark Duchess Collection Garter Set." 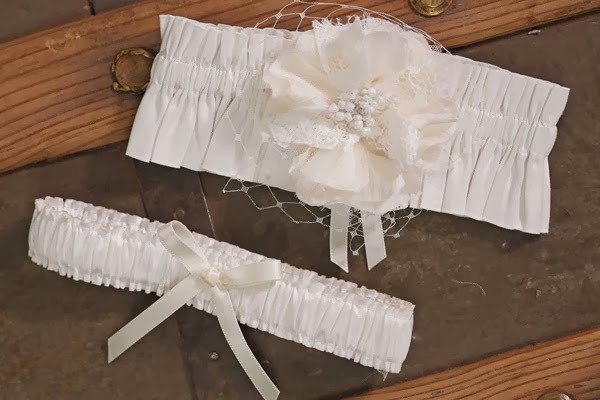 The "Beverly Clark La Fleur Collection Garter Set"
Originally, the tradition of the garter toss was actually pretty wild – considering the way it was back in the olden days, but when it came to garter toss, it is a completely different thing! In olden times the garter was removed and shown as proof that the newlyweds had consummated their marriage! How’s that for a yikes – all your new relatives and your closest family huddled together in your bedroom!!! In fact, the reason why we toss it now is that the garter (actually any undergarments for that matter!) were considered good luck, so many a crazed relative would try and grab up whatever they could reach!!! The Black "Beverly Clark Gala Collection Garter Set"
The "Glamour Garter Featuring Adjustable Crystal Buttons"
Now you know how this "Garter toss" tradition started, it's time for you to choose your garter to toss and keep on your big day!